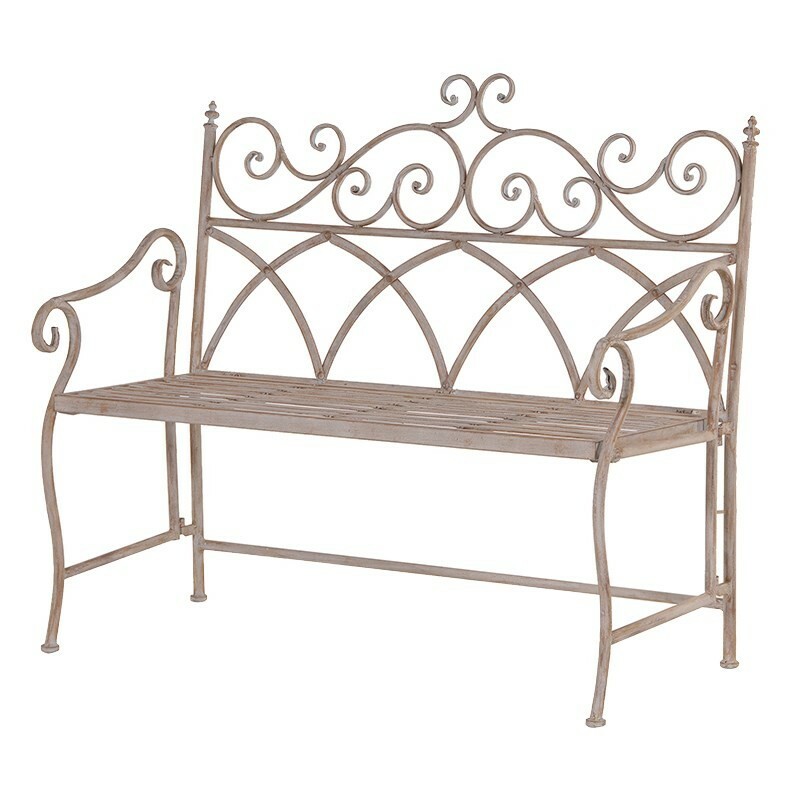 Perfectly at home among rose beds and flowering plants, this piece offers a stunning vintage style to accentuate any garden with tranquil tones and a relaxed atmosphere. 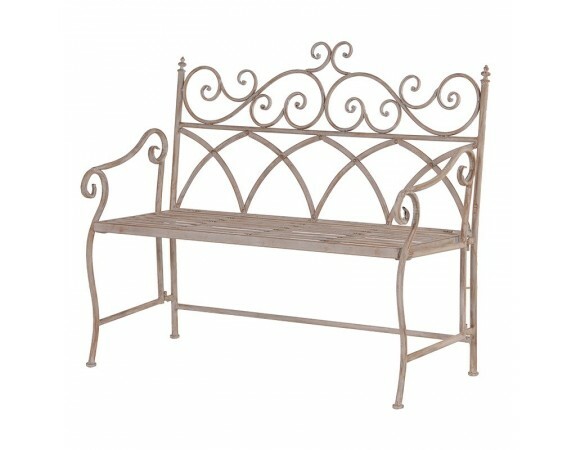 Crafted from a metal frame and finished in an off white colour to give a classical sense and a modern style. A beautiful patterned frame offers an intricate fashionable aesthetic, contrasting its practicality as it features the ability to fold making it convenient and stylish.